J.D. Power recently released their 2017 North American Airline Satisfaction study, which shows that airlines are doing a better job when it comes to passenger satisfaction. But recent news headlines spreading on social media paint a different picture. So which side represents the more accurate portrayal of customer satisfaction for the U.S. airline industry? It's difficult to tell. "It's impossible to think about airline customer satisfaction without replaying the recent images of a passenger being dragged from a seat, but our data shows that, as a whole, the airline industry has been making marked improvements in customer satisfaction across a variety of metrics, from ticket cost to flight crew," said Michael Taylor, travel practice lead at J.D. Power. "As recent events remind us, however, airlines have significant room for improvement. Airlines still rank among the bottom tier of most service industries tracked by J.D. Power, far lower than North American rental car companies or hotels." The federal government has even jumped into the fray as airline executives were grilled during a recent Senate hearing regarding airline customer service. "I take no pleasure in beating up the airlines, but in this case, it's warranted," said Sen. Bill Nelson, D-Fla., the top Democrat on the Transportation Committee. "The fact is we wouldn't be sitting here today if the traveling public believed the airlines cared more about them than their own bottom lines." The hearing came after an April 9 incident when United Airlines passenger David Dao was filmed being dragged off of an overbooked flight. The video went viral on social media and immediately prompted public outrage and a PR nightmare for United ensued. "It is my mission to ensure we make the changes needed to provide our customers with the highest level of service and the deepest sense of respect,” United CEO Oscar Munoz said at a House of Representatives hearing, which also looked into airline customer service earlier this month. 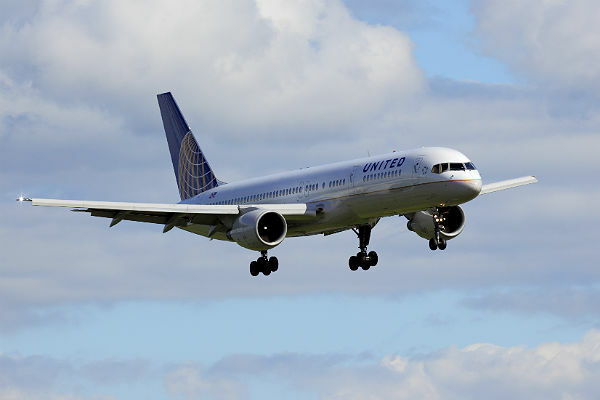 After the April 9 incident, United's stock prices fell and public outrage continued to grow even after Munoz's apology, but it wasn't the last incident United had to deal with. Later that month, a 3-foot-long Continental Giant rabbit was found dead at Chicago's O’Hare International Airport after a transatlantic flight. "The safety and well-being of all the animals that travel with us is of the utmost importance to United Airlines and our PetSafe team," a statement by United said. "We have been in contact with our customer and have offered assistance. We are reviewing this matter." United is not the only airline that has experienced outrage in service in recent weeks. During an April 23 flight, a family returning from Maui were forced off a plane and threatened with jail for refusing to give up one of their seats on a crowded flight. Brian and Brittany Schear of Huntington Beach, California, were traveling with their two toddlers. They wanted to put one of the children in a seat they had originally bought for their 18-year-old son, who had flown home on an earlier flight. To force the hand of the Schears, an airline employee told the family that under FAA regulations, 2-year-old children are not supposed to have their own seats and must sit in their parents' laps for the duration of the flight. According to the Delta website, the rules on parents traveling with toddlers say something different. "We want you and your children to have the safest, most comfortable flight possible," Delta's website advises parents. "For kids under the age of two, we recommend you purchase a seat on the aircraft and use an approved child safety seat." Like the United incident, a video was filmed during the altercation and went viral. Delta later went on to issue a statement regarding the incident. In the J.D. Power airline survey, the airlines scored an average of 756 points on a 1,000-point scale when it came to passengers' happiness. Despite the high marks, Congress is still in talks of imposing a "Passenger Bill of Rights." "I think it may be time for a new Passenger Bill of Rights to make sure that we're focusing on the consumer experience, that we are doing things that are appropriate and necessary to make sure they are protected in these incidents," said Sen. Maria Cantwell, D-Wash., during the Senate hearing. Suzanne Mason is the travel and hospitality editor for MultiBriefs. The 2004 winner of the White House Correspondent scholarship, Suzanne has more than 10 years of journalism experience. She earned her bachelor's degree in English with a focus in journalism from Old Dominion University.